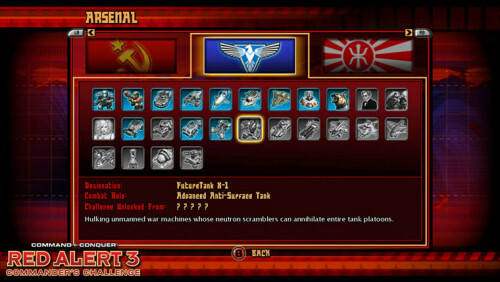 Yesterday we reported that today's XBLA release of Red Alert 3: Commander's Challenge would be a 2 player co-op experience. Sadly, today we can confirm the game does not contain a co-op mode. An Electronic Arts representative has told us the Xbox.com Game Page contains an error, and there's no offline or online co-op in the game. I guess that's why it's not called Red Alert 3: Commanders' Challenge. Page created in 0.5676 seconds.